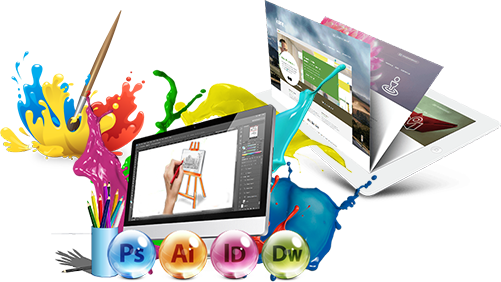 We are a bunch of creative heads who like to keep up with the latest design concepts and trends with the extensive use of latest technology. Our aim is to provide the right platform serving as your one-stop shop for brand creation and designing which helps boost our clients overall business marketing strategy. You may choose from our wide range of creative design services and see the difference we make which is phenomenal. With the constant change in the philosophy of Design and concept,it becomes a cumbersome affair for businesses to keep updated with the change. Don’t take the chance to let your business fall back in the line, let Australian Design and Drafting Services take care of all your design needs. Company’s Logos, Banners, Business Cards, Brochures and advertisements, is what makes the ground to make your business stand out from the crowd of millions of competitors. Branding your product to be one of its kind takes a series of step when introducing to the customers. Topping the list is visual impact of the product, meaning the outlook design which causes the main attraction for any product. The team of creative design experts at Australian Design and Drafting Services possess the knowledge, skills and market experience which enables them to provide top-of-the-notch design services which will help create a strong corporate identity for your business, guaranteed! Let our creative and passionate designers work on giving your Company a Visual Presentation that just by having a glance at it; arises a feeling and instil positioning in mind on your product or service. It is crucial to have a professional designer on the job who understands and is able to incorporate your main concept and views into the product’s design process. If you have an idea or sketch of a logo created for your business or you have no idea at all. Our creative team is here to help you provide an appealing visual presentation of your logo design needs along with complete branding. Logo design is indeed the most crucial part which requires a lot of brainstorming session which goes hand in hand with discussions with the client. We pay more emphasis on designing a Logo that suits your business or product which helps in efficient recognition in the market because it is the face of your business, a reflection of who you are as a company or as an individual. We adopt meaningful ideas through continuous research in order to deliver vibrant, fresh, immersive solutions. GET YOUR BROCHURES DESIGNED TODAY! If you currently have or want to start an advertising campaign, Australian Design and Drafting Services can design and execute your ads/ad campaigns for you. We can design and implement your Facebook Ads, Google Ads, Bing Ads, Yahoo Ads, Craigslist Ads, Print Media Ads, Mailed Ads, Magazine Ads, Newspaper Ads and more. We can also provide you with competitively priced printing for your print media ads! Our ad design will set you out from your competition as we use the most current design tools and concept ideas. START MY BANNER DESIGN TODAY! Typically, we will give you a free business card design with pretty much any design or website design package. HANDLE IT you say? GET MY BUSINESS CARD DESIGN STARTED! Print and mailed marketing is still an element of any successful marketing plan. Our goal is to create and design something that will stand out so much so that it will be looked at and considered by your potential customer/client before it is tossed. Coupled with massive amounts of creativity, calls to action, use of modern technology tools, we can create the best possible mailing campaign for you and your company. Postcards are also a great size for a hand out marketing tool! Poster design for political candidates, special events, concerts, theaters, plays, musicals, recognitions, announcements, lost & found and more. We offer a wide range of poster sizes, printing and designs to suit your poster needs. Each and every project we design, we take very personally. You will not be disappointed with the posters we design for you or your company! With that big celebration around the corner you need to get the word out! We can design your printed and digital event invitations. Of course you could always just use Facebook and create an event to invite all your friends too…. but where is the fun in that? Plus half of them won’t even see it. After it is over they will ask you…… Why wasn’t I invited? So lets create and design a real nice invitation that can be mailed or shared by email or on social media to get the word out. On top of that, maybe you need to collect RSVPs for your event. Why not have us create an online/website RSVP for you? Yes we can do that too, how great is Australian Design and Drafting Services. GET STARTED WITH MY EVENT DESIGN TODAY! We offer professional website design services. Provide us your requirements and we will plan, design, develop and support your website solution. From a one page starter website or micro-site through to a powerful multi-page eCommerce website, we will work with you to design and develop a solution specific to your requirements. From 1 to 100 pages of layout design or more, Australian Design and Drafting Services can layout your entire workflow, project and design with ease. Most projects are priced at a per page rate for layout design. This pricing is dependent on the complexity, turn around time, and design needed of your project. We have experts in layout design for magazines, newspapers, catalogues, one sheets, price sheets, trade show pamphlets, coupon books, brochures, restaurant menus, restaurant to-go menus, restaurant sluggers, and all other types of print media not mentioned in the list here. GET STARTED WITH MY LAYOUT DESIGN TODAY! For those who still produce and enjoy reading a tangible item that you can touch and feel, this is for you. The anti “i” device design medium. We can design your magazine including complete layout, content assistance, branding and even consult with you on your marketing for your magazine! While not common, we are more than happy to tackle any graphic design or layout project for you. GET MY MAGAZINE DESIGN STARTED! We have enjoyed designing well over 100 different fully customized restaurant menus for a wide range of restaurants. Every restaurant is unique and therefore your menu should be unique as well. Our extensive experience in restaurant menu engineering ensure that the latest menu design techniques and concepts will produce the greatest return results. GET MY MENU DESIGN STARTED! DESIGN MY RESTAURANT TO-GO MENU! Like camping, but not really. The premium marketing tool for restaurants is the table tent. There are a wide variety of tents that can be used to display specials, drinks, create social media connections and more. Our marketing team can help design and implement successful table tents in your restaurant. Occasionally we have an author approach us to do book design and layout. We can handle your book design and complete layout of your pages as needed. We will then of course talk about design and concept before we get started. We can design your book layout and cover to fit your publishers specifications. You will want to be positively sure that you are at your final draft before we start, as making corrections after we have started can be very time consuming and costly. GET STARTED ON MY BOOK DESIGN! If you conduct a lot of mailing or mailings as a part of your everyday business, then it is a good idea to brand and put the envelopes to use for you as well. With custom printed and colored envelops you can really stand out in the mailbox and increase your open rates or your clients responsiveness. Why not even use the outside of the envelope for a few ads or coupons? Or even calls to action. Let us design and print some great envelopes for you today! We offer a wide ranges of color and layout options. Typically envelope design is bundled with business card and letterhead design. GET MY ENVELOPE DESIGN STARTED! So you have a great logo design done by Australian Design and Drafting Services already, right? We have found that some businesses still need letterhead for various reasons, although most do not use letterhead anymore. Perhaps you need it for legal reasons or maybe to send out special notes to customers? We would be happy to design your letterhead for you. Typically we design letterhead in a package with business cards and envelopes. GET MY LETTERHEAD DESIGN STARTED! Our Designers can design your folder, and all material to be contained within the presentation. We can also provide the printing for you as well. Keep in mind a full presentation folder with all materials inside is quite an investment in graphic design work and printing, which can pay off in the long run if your application is appropriate. An eye-catching package design is the first thing that attracts a buyer’s attention, so much so that over 75% of the consumers make their buying decisions at an in-store point-of-sale. A good package design can enhance a product’s image in the mind of consumers, thereby leading to better sales. DESIGN MY PRODUCT PACKAGE IN 3D! The creative designers team at Australian Design and Drafting services possess expertise in varied types of animation, from 2D animation, 3D animation, storyboards, medical animation and animatics, to product demos, viral videos, illustrations, logos, banners, portraits, and caricatures. If you need animation for your website, presentation, application, movie, or demo, we can design and create compelling animation that meets your exact specifications. If your company is looking for cutting-edge animation services at a reasonable price, we are you best-bet. Another feather in our creative cap of designers. Latest addition of Jewellery Design experts in our team, we now offer CAD modelling, rendering & animation services for jewellery manufacturers across the world in a unique format that is extremely affordable, convenient & flexible for the customer. This unique concept allows jewellery designers, retailers & manufacturers to take advantages of digital manufacturing without having to go through a cumbersome learning curve of 3D modeling. Contact us for your Jewellery design needs and we guarantee you 100% customer satisfaction. DESIGN MY JEWELLERY DESIGN STARTED! Even with the advent of technology, flyers remain important marketing and promotion tool. Colorful, glossy flyers are eye-catching and help to communicate your message in a visually powerful manner. They are a great way to announce new services, and spotlight on your businesses’ selling points etc., all at a fraction of the cost of other marketing.